When you complete defensive driving with NYTrafficSchool.com, you get the quality and peace of mind that comes with taking a program provided by the American Safety Council. The New York DMV has approved the American Safety Council (Sponsoring Agency #029) to provide accident prevention programs that reduce points and insurance premiums. The defensive driving programs offered by the American Safety Council are totally Chemung County approved and are delivered through the Internet for increased speed and your convenience. Another one of the advantages of our on-line defensive driving program in Chemung County is that there is no excess paper-waste. There are no written tests to take, no New York DMV forms to mail in, and no paper traffic school workbooks to print out. All you need is completely on line... Now that's an eco-friendly defensive driving program Chemung County residents can count on! Pay for your Chemung County defensive driving program with one of our easy payment methods: we accept payment online with Visa, MasterCard, Discover, or American Express! You are our valued customer and at NYTrafficSchool.com, we are here to help you with any problems you may have along the way. You can contact us on the phone or over email and one of our helpful staff members will be equipped to answer your questions. 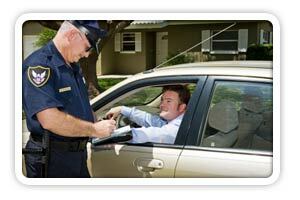 How Long Does Chemung County Defensive Driving Course Take? Your Internet Point and Insurance Reduction Program will last at least 320 minutes in length. State defensive driving law requires that all approved defensive driving programs be a bare minimum of 320 minutes long. 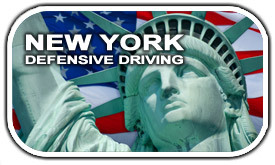 NYTrafficSchool.com abides by this time requirement, thus ensuring that you get a New York DMV approved program and will be eligible for your insurance rates discount and point reduction advantages. The total purchase price of our Chemung County online Defensive Driving program is only $24.95. Get it all, including insurance discounts, point reduction, and the best traffic safety education program online! You may take the course in as many sessions as needed, but you have to take the course within THIRTY (30) days of registering. You can login and log out as you need with the username and password you setup during registration. Your data will be saved along the way!